Over the weekend, we met up with Macaroni and Cheese for happy hour at Earl’s. We have been here a couple times before, but I didn’t write about it since we ordered the same things as the first post I wrote last year. Drinks: The happy hour specials at Earl’s are definitely a great value. We each ordered a drink, which I forgot to take a photo of. I had the rose sangria which was sweet and sugary, reminiscent of a pink lemonade. However, I would recommend ordering it with light ice because half the wine glass was ice! Earl’s Chorizo Nachos: At first, we weren’t sure whether or not the nachos would be enough for 4 people because it seemed pretty cheap ($10 compared to most places, where nachos are $15+). Luckily, it was a good portion for snacking and we all enjoyed it. 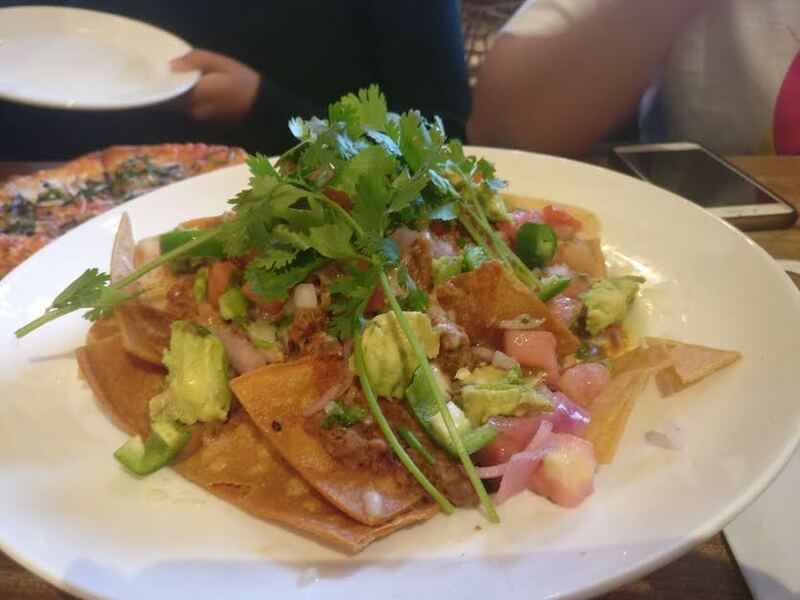 The nachos reminded us of chili, like if you put chili over some nacho chips. There was a lot of chorizo sausage and a decent amount of ripe avocado, but it could have used more cheese. It was a good choice and I wouldn’t mind sharing it again. 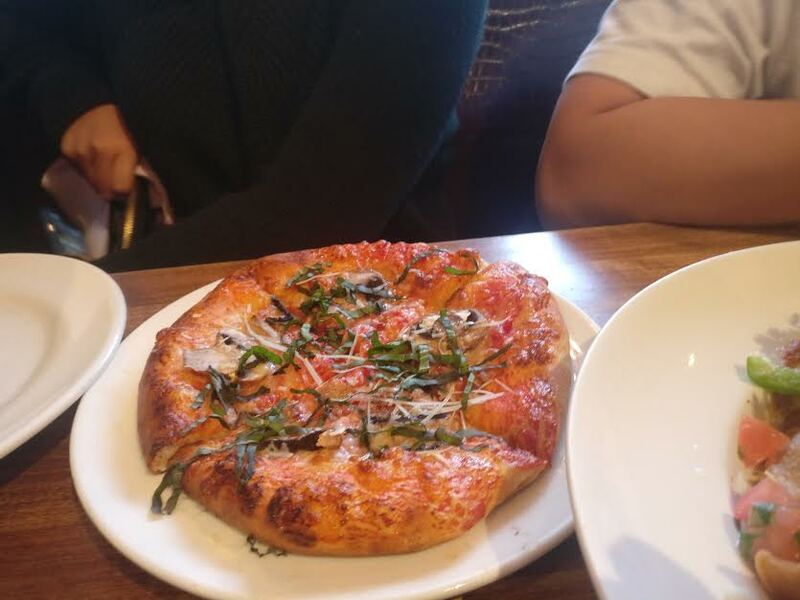 Margherita pizza: Last time when Cocoa ordered this, it was disappointing but Macaroni was craving some pizza that day, so we all shared it too. It looked sad and small, but taste wise, it wasn’t bad. The price increased from $3.50 to $4.00 since last year which is not surprising as the cost of materials and living continue to rise. However, if the price keeps on slowly creeping up, it definitely would not be worth it based on the size. 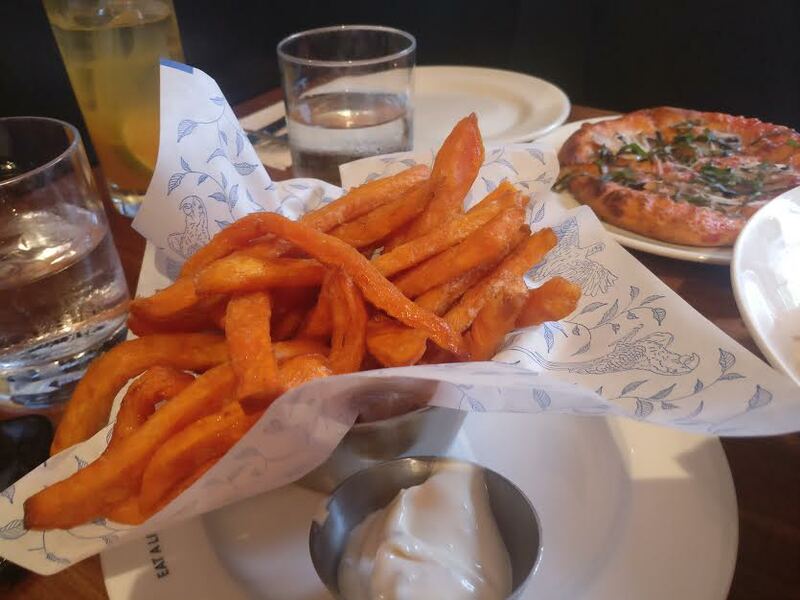 Yam fries: Surprisingly, I’m not a huge fan of yam fries so I didn’t have any. However, the rest of them did not have any complaints about it. Garlic fries: I forgot to take a photo of the garlic fries! Last time, I remember that the garlic fries were disappointing and not garlicky at all. Well, this time, it was a lot better because there was a huge amount of crushed garlic! We ended up ordering another bowl of these to share, and all wounded up with garlic breath afterwards! LOL! As in my last post, I mentioned that the happy hour items are a bit hit and miss… in this visit, we enjoyed all of the dishes, which is making me think that they are inconsistent. For example, the garlic fries last time barely had any garlic, but this time, there was a huge amount. 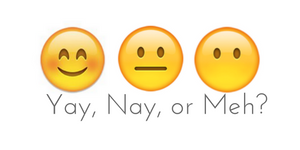 I would say don’t come with extremely high expectations because you won’t know if they’re having an off day or not. I find service here spotty too, it is either really good, or really slow. But if you just want a place for cheap drinks, then Earl’s is the place to go!